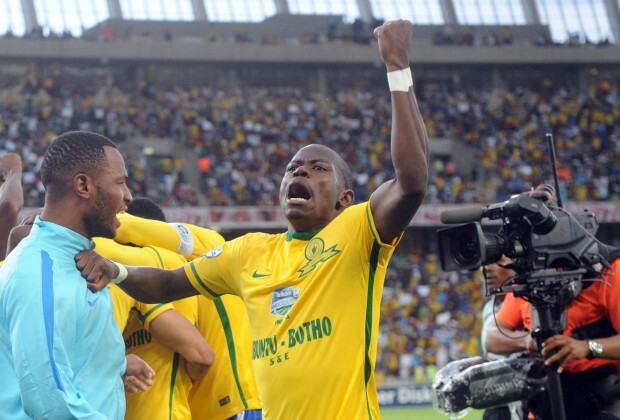 Mamelodi Sundowns claimed the Telkom Knockout trophy in style on Wednesday as they thrashed Kaizer Chiefs 3-1 in the final. The Brazilians made the perfect start as they opened the scoring only four minutes into the clash. Tebogo Langerman attacked down the left and cross for Khama Billiat at the far post where he volleyed it back across the face of the goal for Leonardo Castro to head home. Pitso Mosimane's charges looked the more composed of the two sides especially after scoring. Their build-up play was measured, while Chiefs seemed to panic, forcing their attacks. Chiefs had a few chances with the likes of Pule Ekstein sending a shot well wide, while Siphiwe Tshabalala squandered a free kick opportunity from a great position. The game became scrappy as the half wore on as neither side were able to create another clear-cut chance before the break. 'Downs were two goals clear in the 51st minute when substitute Teko Modise curled in a corner kick that found Thabo Nthethe who outmuscled Siboniso Gaxa to head home. Chiefs had a great chance to pull one back immediately when George Lebese was put through but he missed wide from close range. On the hour mark Amakhosi were rewarded a penalty when Bernard Parker went down in the box. However, Onyango kept Tshabalala's spot-kick out with a terrific save. Chiefs won another penalty in the 73rd minute when Nthethe slid in for a tackle in the box and accidentally touched the ball with his arm. However, incredibly Onyango made another save, keeping out Camaldine Abraw on this occasion. 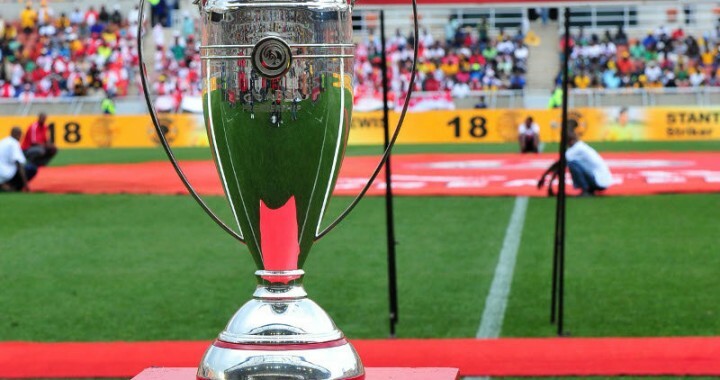 The result was put to bed with a top piece of football in the 83rd minute when Themba Zwane cheekily backheeled to set up the shot for Hlompo Kekana who smashed home the ball and secure the trophy. Abraw netted a consolation goal for Chiefs in stoppage time, but it did nothing to dampen 'Downs' celebrations.